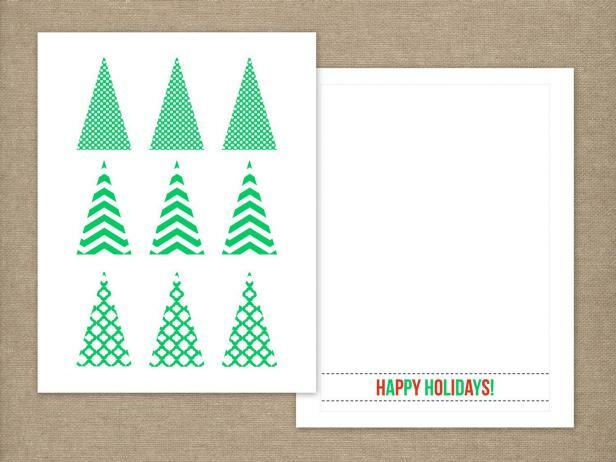 Print PDF templates onto heavyweight matte photo paper or card stock using a color printer. Trim at gray dotted line (final card size should be 5" x 7"). 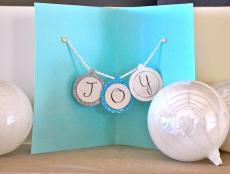 Score and fold card in half. 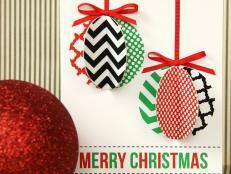 Use scissors to cut out all nine triangles from the printed template. 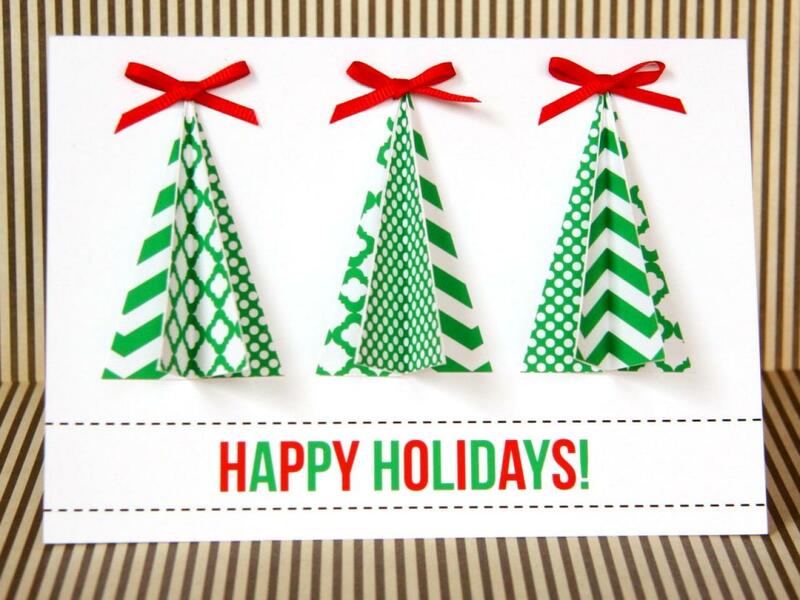 Fold each triangle in half lengthwise. 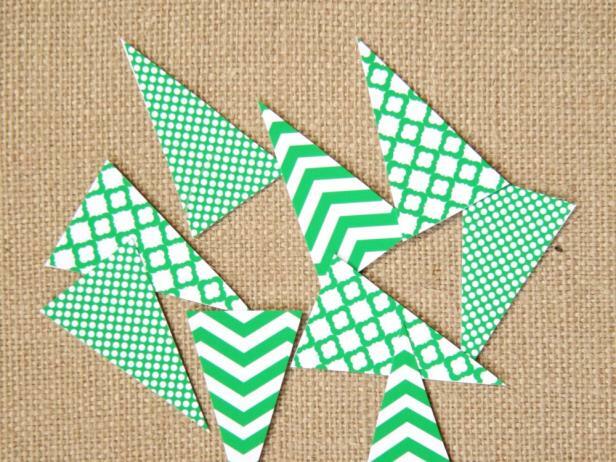 Use scissors to cut out all nine triangles from the printed template. 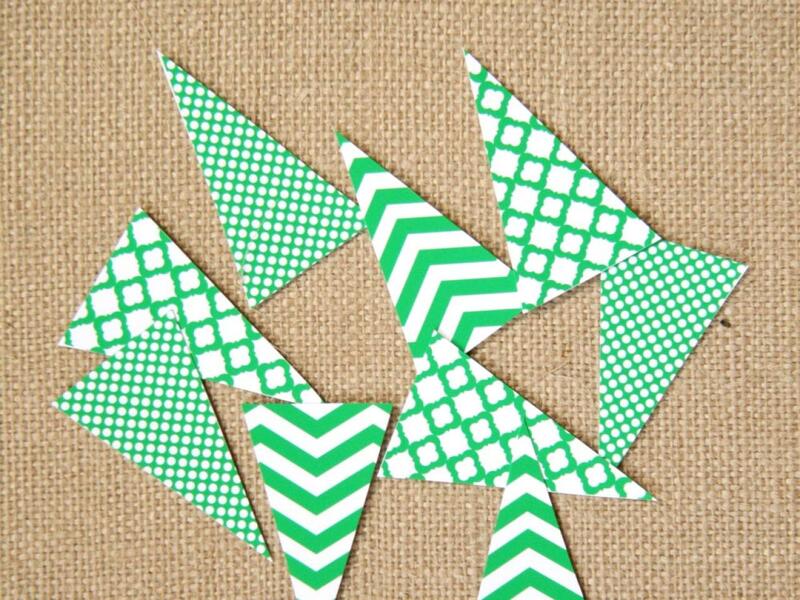 Fold each triangle in half lengthwise to complete step 2. 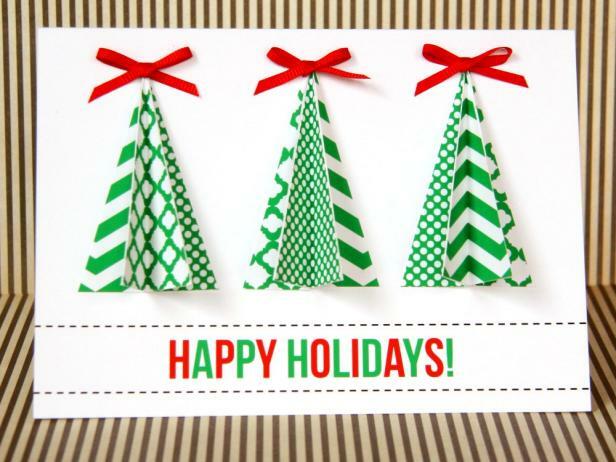 Use double-sided tape to attach three folded triangles together back to back, using one of each pattern, to create a three-dimensional tree shape. 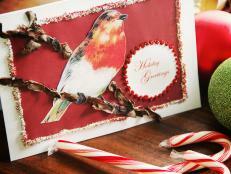 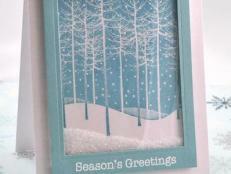 Use double-sided tape to attach three trees to the card front, positioned as shown in photo. 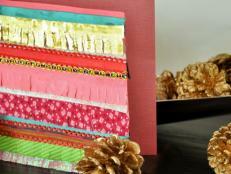 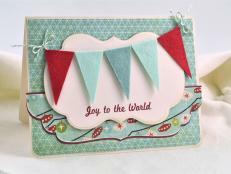 Add a small ribbon bow to the top of each using double-sided tape. 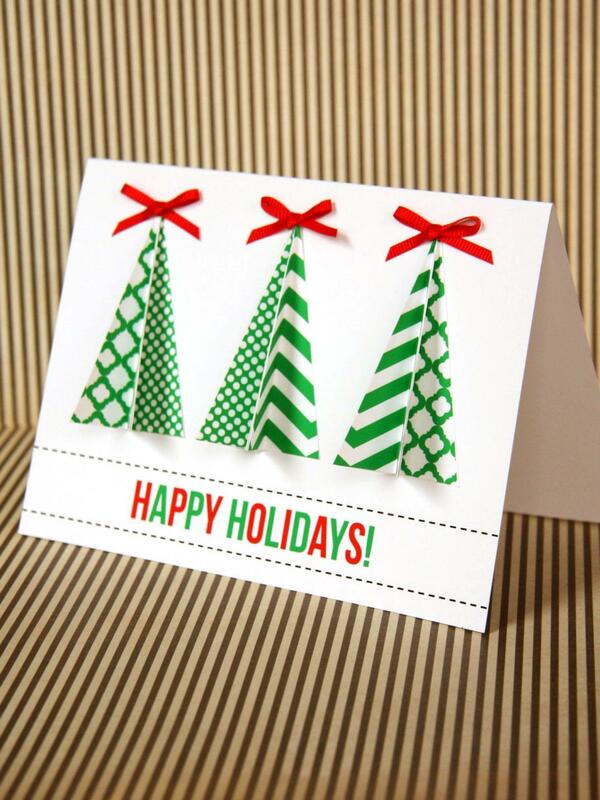 Use double-sided tape to attach three folded triangles together back to back, using one of each pattern, to create a three-dimensional tree shape. 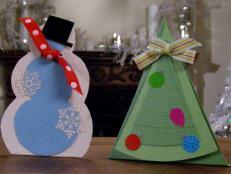 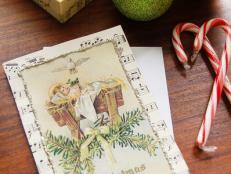 Then, use the double-sided tape to attach three trees to the card front, positioned as shown in photo. 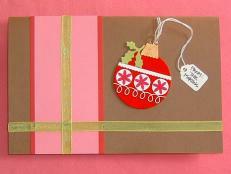 Add a small ribbon bow to the top of each using double-sided tape.